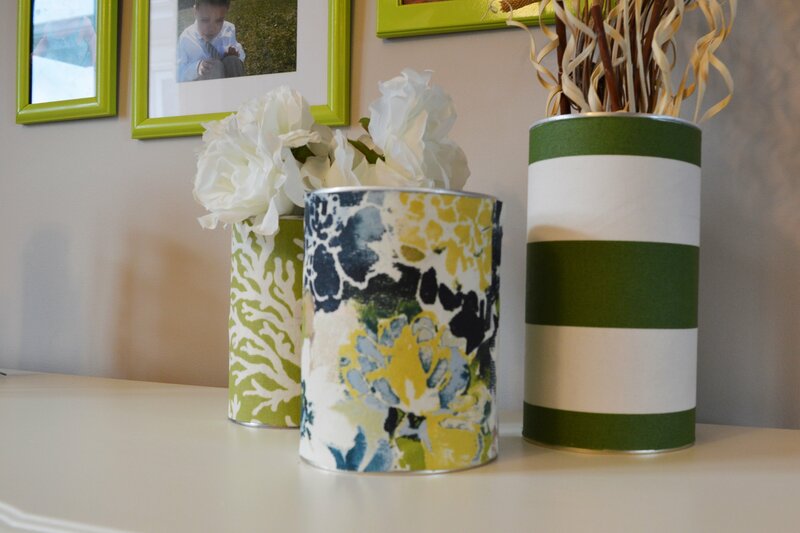 Here’s a quick and inexpensive project to add a bit of colour to a room! I took three empty baby formula cans, cleaned them and removed the labels. Then I cut fabric in a strip to the height of the can. 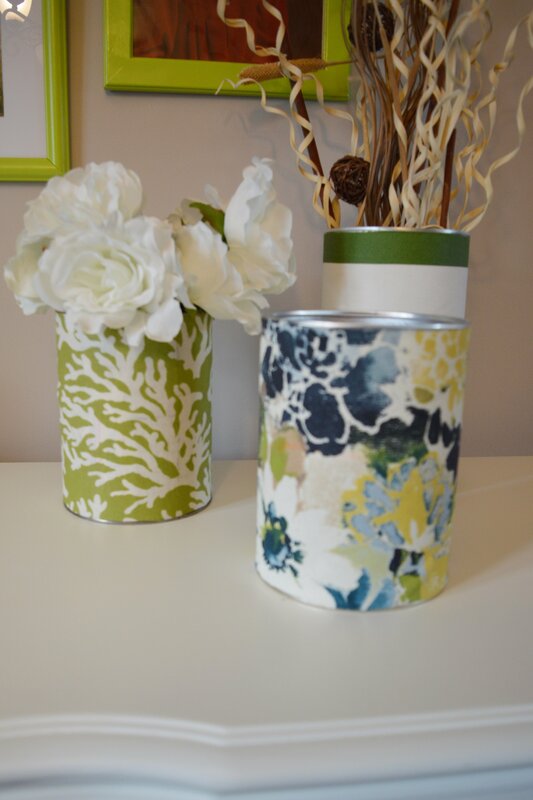 I applied a layer of mod-podge on the can, wrapped the fabric around it, and added another layer of mod-podge on the top. Let it dry, and that’s it! Simple and colourful. Get the latest DIY ideas straight to your inbox! Welcome to the Vanderveen house! Get all the latest DIY projects straight to your inbox! Sign up for 15% off your first purchase from Vanderveen Creations! Hall Makeover and a Colorful Gallery Wall: One Room Challenge Reveal!